One of the best things about living where we do, is that Turleys hardware store is nearby. Turleys is one of those places that sell everything. Well, almost. I have yet to be disappointed by them, and occasionally they really come up trumps. Back in the late 1950’s, Mr Anderson bought our little Doric range cooker from them, and at some point it’s temperature dial went somewhat awry. Here it is above, and as you can see, it never reads less than 320 farenheit. 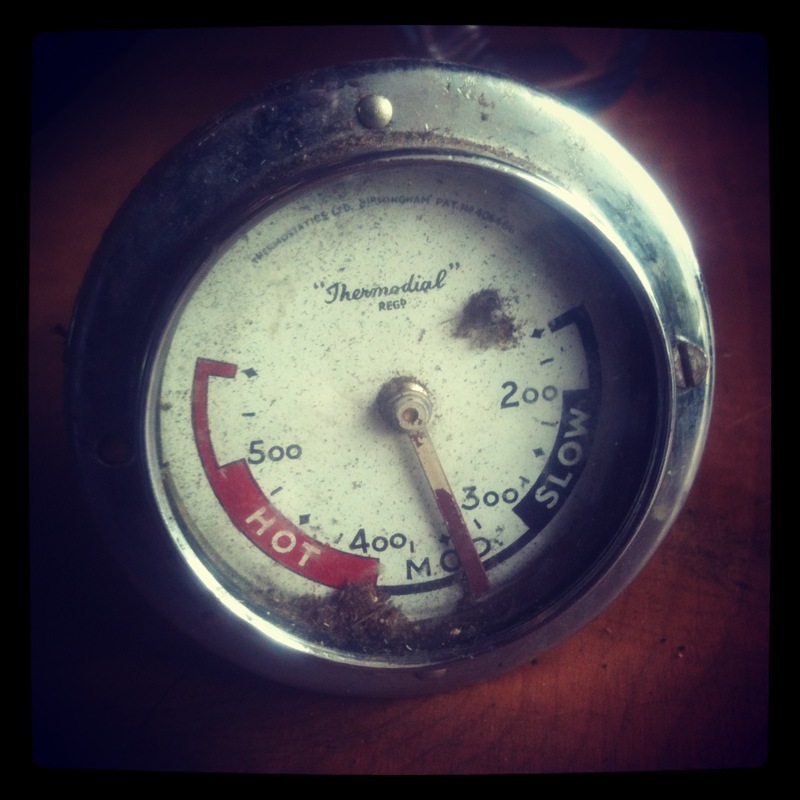 Anyhow, today I dropped in for some plumbing bits, and there on a shelf, was a shiny new temperature dial. Apparently it had sat there for 30 or so years just waiting for me to come along. Now it is happily installed in the Doric, and it turns out our oven gets up to nearly 700 farenheit at full whack. The original point of the visit was to rustle up some parts to connect up a pipe to empty the well, from which I emptied large amounts of stinking mud last winter. I finally got around to rebuilding the top of the well head, and having limed it a few days ago, decided that now was the time to empty, steam clean, and refill it. 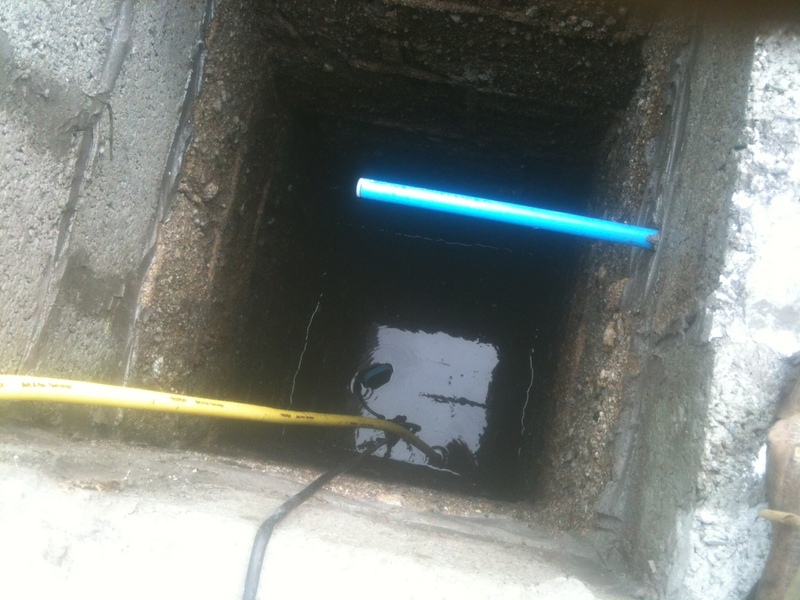 Cue another trip to the bottom of the well, more stinking mud, and a day of pumping out and refilling. In the end I put some gravel in the bottom to stop the sediment being disturbed, and after more pumping and filling, the water looks clear, most of the contaminants having been transferred to my clothing. 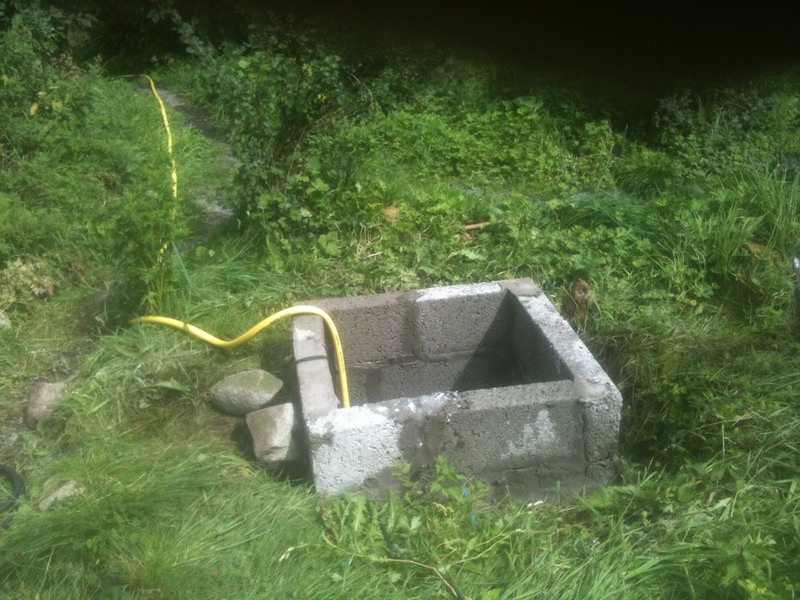 All the recent talk of fracking has got me thinking about our water supply – we have a metered mains supply, which works great, but between rainwater, and this well, we should have an ample on-site supply to meet all our needs. The next step is to let the well refill and then get the water tested. Having gone from black to clear is a step in the right direction, but I’m not sure we are quite at the drinkable stage just yet. Watch this space.